Without microphones, in-ear monitors (IEMs), intercom and distribution systems based on wireless technology, many of today's large-scale television studios, outside broadcast and film productions would be very difficult, if not impossible, to stage. Wireless solutions provide convenience and, in the main, great performance, however as with many technologies careful investment will provide the best results. To avoid potential pitfalls its essential to fully understand the capability of the product under consideration, doing so will inevitably flush out the huge differences between what's on offer to provide a robust solution for professional high demand use. Wireless connectivity has been, and will always be, a heavily controlled environment. Growing demand on the available spectrum of RF frequencies from a huge range of consumer and commercial devices is leaving PMSE users with fewer clean operational areas; this in turn creates congestion on the studio floor or film set. It's therefore essential the equipment allows a wide available tuning range to ensure a frequency choice well away from other users or even between the users own devices. The tuning range on high end products can be over 250Mhz; low end products may actually have fixed frequencies. A wide choice of tunable frequencies is also essential when working away from the UK, even a short trip around Europe can demand specific frequency use at very different parts of the spectrum. A wide tuning range will also provide future proofing, as it's not unknown for sections of the spectrum to be withdrawn from use. Working in an ever-tightening spectrum space will mean quality of signals need to be maintained. A professionally designed RF product will feature high rejection of spurious nearby transmissions including harmonics from other users on-site. There should also be tight front end filtering, especially on receivers with wide tuning where tracking filters should be used which follow the tuned frequency. This will allow the receiver to concentrate only on a narrow area of the spectrum associated to the chosen frequency therefore ignoring signals from the entire tuning range. Within the transmitter a technique such as the use of a circulator or other technology prevents unwanted intermods by causing any unwanted signals to be effectively parked in the transmitter before causing issues at the front end of the receiver. Operational range and quality of signal can be greatly improved through true diversity technology within the receiver. Essentially two separate aerials tuned to a single chosen frequency feed two independent receivers that are mixed together as appropriate to avoid dropouts. Quality of construction and materials used should play a big part of the selection process. There's no doubt the chosen products will be asked to contend with varying conditions of heat, moisture and wind. It's also well established that talent may take out inevitable frustrations on whatever the sound engineer has just carefully placed about their person. A properly machined metal casing with engineered seals will cope where a pop apart plastic design will likely not stand the test of time. Battery life has shown to be a major concern in the past, selecting a brand where the manufacturer has fully optimised the power requirements of the product can now mean up to 10 hours operation using standard alkaline batteries this can be increased by using lithium cells or for the ultimate power solution some manufacturers offer optional clip in battery eliminators for use where a DC power source is available. Availability of other useful accessories is worth looking into. This may include cables, brackets, phantom power supplies and slot in packs for a variety of cameras allowing for cable free connection to a wireless audio receiver. These useful adapters will be joined later this year by a slot in solution for one of the most popular audio mixers. 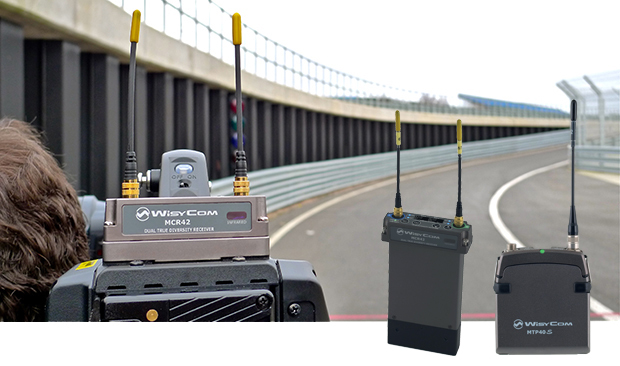 Professional radio equipment manufacturers including Wisycom, Lectrosonics and Audio Ltd have worked alongside Sound Devices to create varying levels of integration with their latest mixer via a bolt on 6 channel slot pack. Compatibility with other manufacturers' products can very often assist production. For instance it's important to confirm the correct connectors or adapters are available for the most popular microphones. There may also be times where a sound engineer is asked to accept audio feed from an alternative manufactures transmitter to his own receiver. To allow this to happen the receiver must have the ability to emulate the manufactures transmission parameters. Emulation will be an embedded function of the higher end manufacturers' receivers alongside multi-function local and remote software providing many useful features such as spectrum scanning, battery monitoring and level adjustment for RF and Audio. 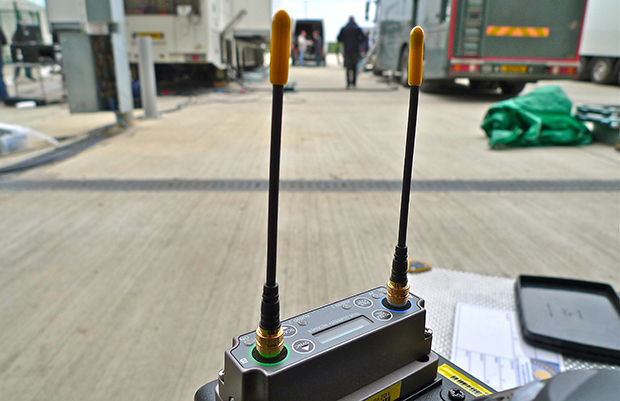 Wireless systems have proved themselves to be a valuable part of any broadcast production but it's clear the growing number of product choices means careful selection is vital. Acquiring the right product for the job will potentially require some serious investment, but it's likely to be a sensible move providing the professional engineer with a future proofed durable solution. The checklist is clear. A tuning range suited to the engineers needs, all metal tough housings, battery life over 8 hours, built in reverse intermod protection, true diversity receivers and a wide range of useful accessories. Radio technology is well established in the broadcast industry today and will continue to be so into the future as long as well-designed products that continue to embrace latest advances in this exciting technology are employed.